To learn about the community impact of giving circles, we talked to Jenny Neyer Berg, a local and national leader in collective giving. Jenny is Chair of the national board of Catalist (formerly the Women’s Collective Giving Grant Makers Network), a network of 66 women’s giving circles across the U.S. and even in Australia. 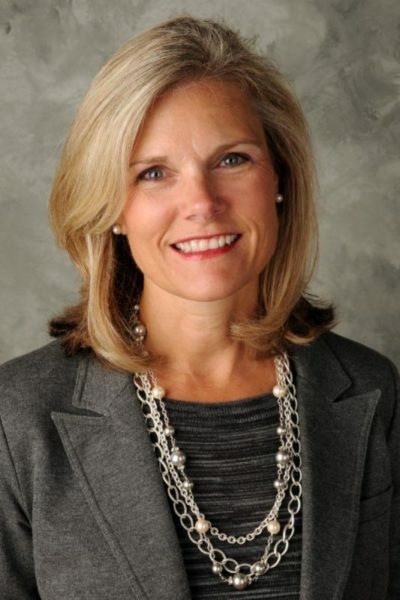 She is also board member and former board president of Impact 100, which began in Cincinnati in 2001 and has since spurred chapters around the world. In each participating community, at least 100 women donate $1,000 each that they distribute as grants of $100,000 to local charities. In addition, Jenny serves as Executive Director of Leadership Council for Nonprofits in Cincinnati. How did you get involved in giving circles? I got involved in giving circles in 2004 after witnessing the power of community giving first-hand. At the time I was board chair of Tender Mercies, a Cincinnati nonprofit that provides permanent housing for homeless persons with a history of mental illness. Our executive director entered the Impact 100 application process for a $184,000 grant. I accompanied her at the awards meeting where she presented alongside four other finalists to explain how Tender Mercies would use the grant money. We asked for funds to renovate residences for homeless persons in Cincinnati’s Over-the-Rhine area. The next morning we found out we got the grant! I became a member of Impact 100 instantly. What has kept you involved? I stay active because of my passion to help nonprofits. I truly enjoy learning about the work of nonprofits and the difference they make in our community. I believe the grants we make are transformative for nonprofits and the clients they serve. In Greater Cincinnati alone, Impact 100 has awarded $4.7 million through 43 grants to community nonprofits. I also believe that Impact 100 provides leadership opportunities for women. I’ve been able to serve in many capacities myself and have recruited many, many women in our community to join as well. What makes a grant from a giving circle special? Nonprofit leaders tell us they appreciate the human connection and the opportunity to meet face-to-face with the individuals making the granting decision. Through the Impact 100 process, they share their story with a live audience and can meet our members directly. That’s not always the case with traditional foundations. Giving circles also help build a sense of community through philanthropy. Nonprofit grant recipients say they feel part of the “Impact 100 family.” In addition, many of our Impact 100 members become volunteers, board members, and donors of the nonprofits they learn about through our process. A grant from a giving circle can often have a ripple effect. Receiving an Impact 100 grant is like getting a Good Housekeeping seal of approval. Our grant recipients often end up getting additional contributions from other funders and donors. What advice do you have for nonprofits about getting funding from a giving circle? Every giving circle has a slightly different approach. Research and learn about the giving circles in your own community. Join their mailing lists and attend their events. Many giving circles offer training opportunities for grantees where they explain their process, guidelines, and eligibility. Attending can be a great place to meet their members and learn what matters to them, so you can speak directly to their interests in the application.